If you're in the NY/NJ/Connecticut (heck...even Pennsylvania!) area, I'd love for you to come to the New York Botanical Garden tomorrow (Saturday). 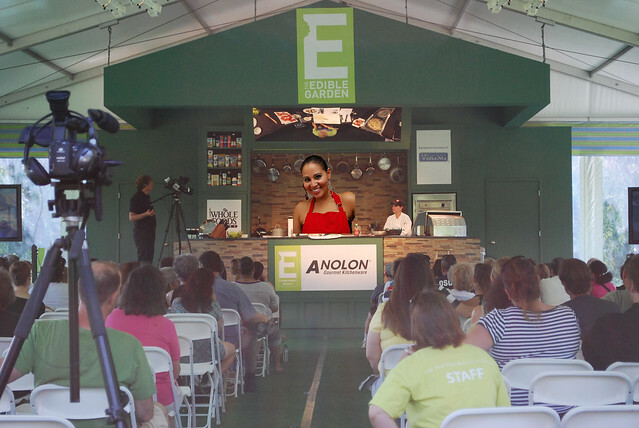 I'm going to be hosting two LIVE cooking shows on their state of the art Conservatory Kitchen Stage at 1pm and 3pm. This will be the first time I've ever cooked before an audience so it would be really great to have your support and see some familiar faces out in the audience! I'm going to be making two delicious beet recipes. The first, for the 1pm show, is Roasted Beet and Goat Cheese Gnocchi with Sage Brown Butter Sauce. At the 3PM show I will be making Beet Chocolate Bundt Cake with Chocolate Truffle Glaze. I'll also be talking about eating seasonally, working with beets, ways to serve them to those pesky "i hate beets" people, and a few of my personal beet anecdotes (don't we all have those?!). New York Botanical Garden is located in the Bronx right next to the Bronx Zoo (so you can make a whole day out of it and go check out the cute baby animals next door after my show). It's about 20 minutes from midtown on metro-north and 25 minutes from the GWB if you're driving in from NJ. Visit www.nybg.org for more details on the park, directions, and to buy your tickets. I hope to you there!